The Datsun Z/Nissan Fairlady Z over the years. The first Japan Import car in Hot Wheels introduced in 1977 as Z-Whiz in the end of the Redline era. Fast forward to 2006 29 years later the 240Z would be released. Another 10 years and the Nissan Fairlady Z makes it debut and in 2017 the Custom Datsun 240z (Fugu Z) debuts with a rocket bunny body that’s a a replica of Fast and Furious series actor Sung Kang’s real life car. 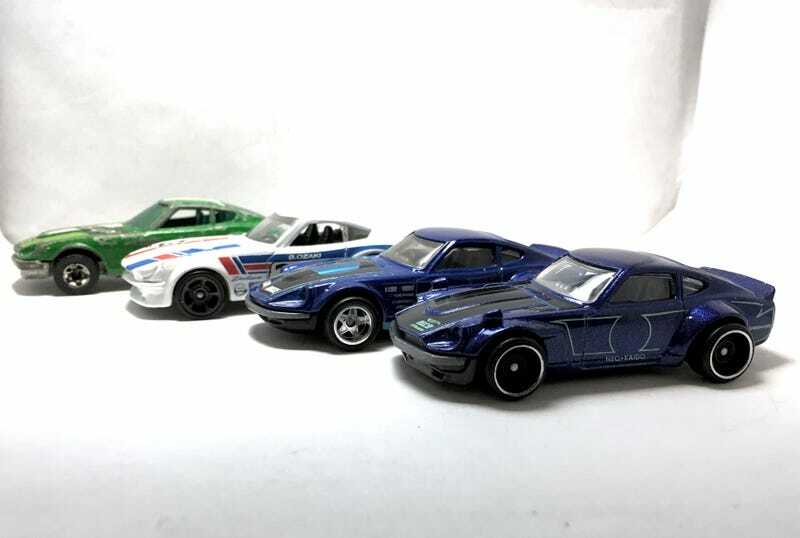 In 2018 the Fugu Z received a retool that has an opening hood(do not own a copy of it yet maybe one day) Amazing how far this casting has come in 40 years since the Z-whiz was introduced.